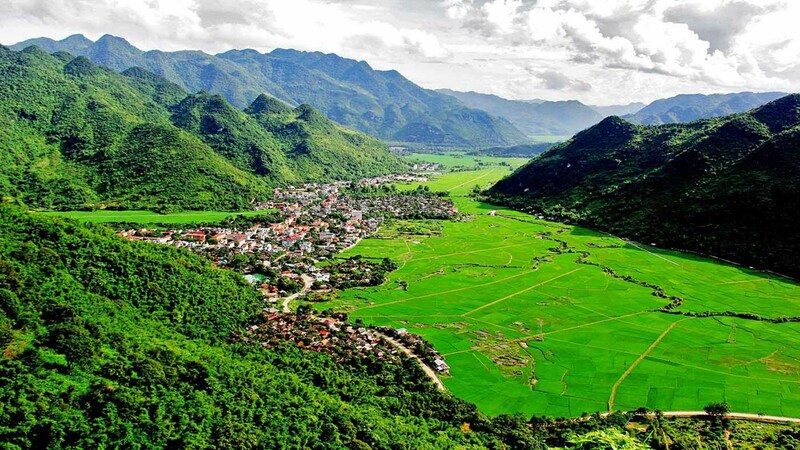 Pu Luong is a new sightseeing and exploration destination for your adventure in the north of Vietnam. 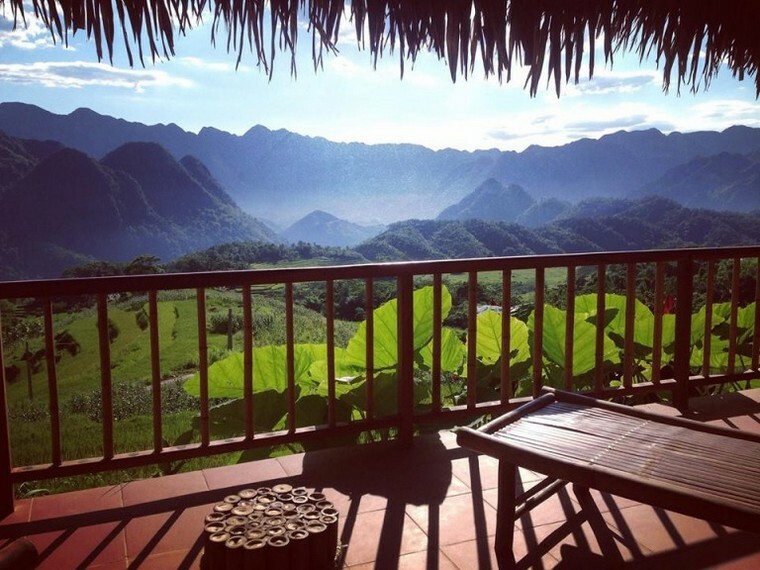 You will be highly impressed by the scenery and wild beauty of Mai Chau and Pu Luong Village, especially the terraced rice fields and primeval forests located here. 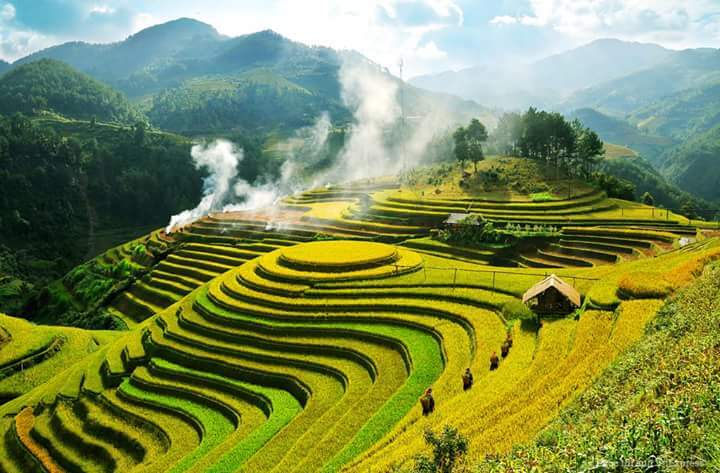 In particular, there is ample time to enjoy peaceful villages, beautiful valleys, local culture and see first-hand, the daily life of the Thai and Muong ethnic minorities. A new “off the beaten track” destination. 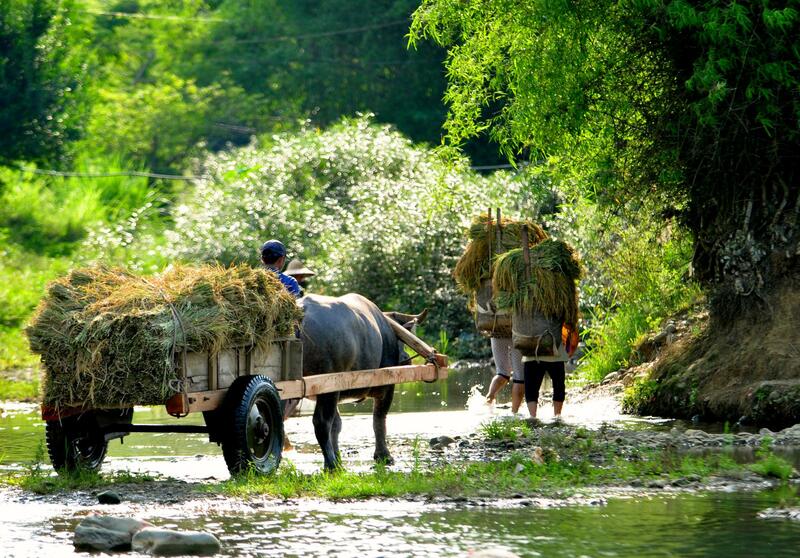 Experience local culture and the daily lives of the Thai and Muong ethnic minorities. 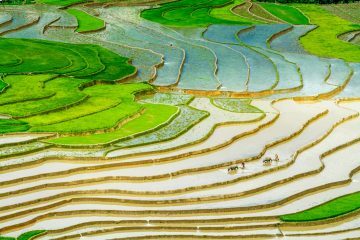 Discover beautiful nature, terraced rice fields and peaceful valleys. 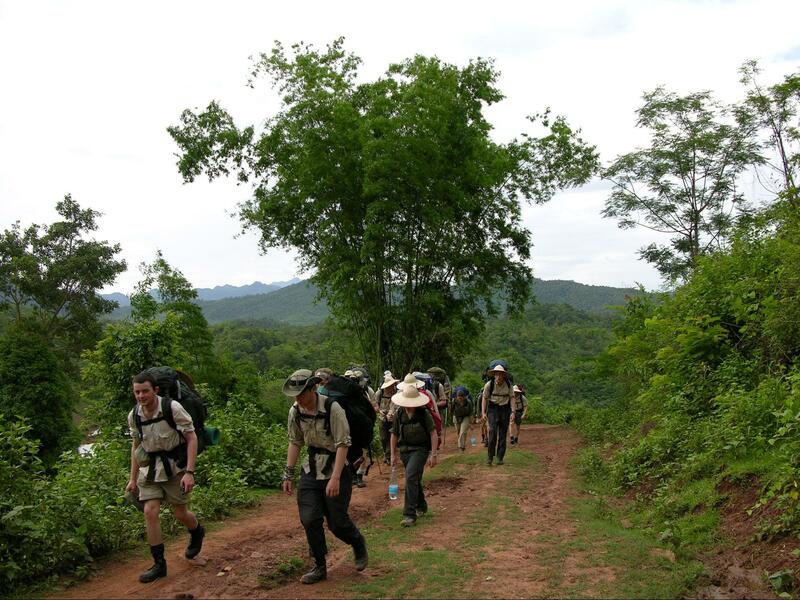 Great trekking through the villages and beautiful mountainous area. 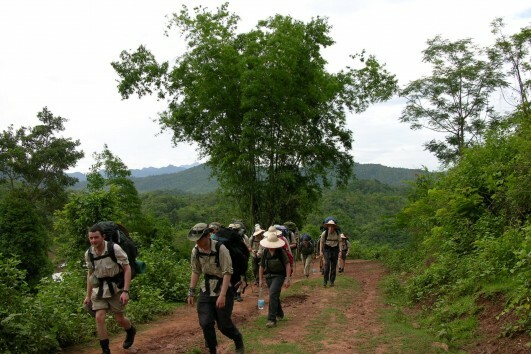 Our guide will meet you at your hotel, and the adventure starts with a tour to Pu Luong. The drive to Pu Luong is via the No. 6 highway, and you can see beautiful natural landscapes from the imposing mountain passes. Lunch will take place at a local restaurant in Mai Chau before you you enjoy a stroll through Pom Coong and Lac Village in the afternoon. 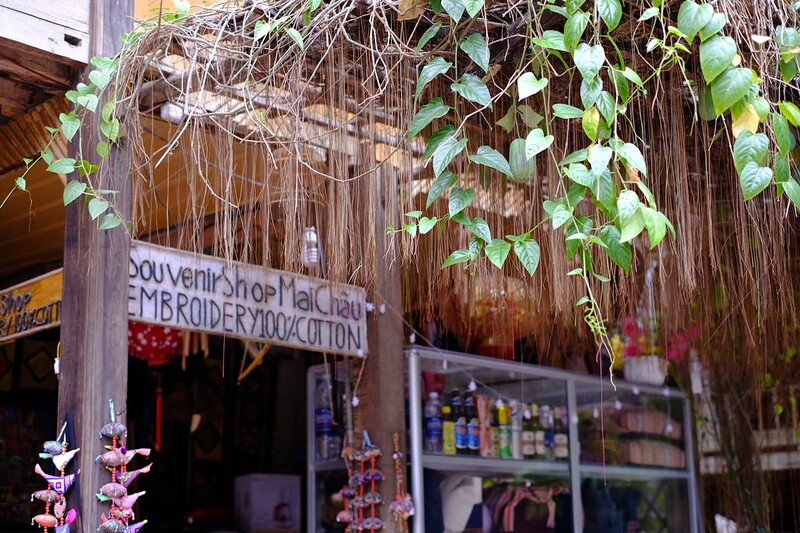 Here, you can immerse yourself in the scenery, meet the friendly locals and observe the culture and lifestyle of the Thai ethnic minority group. 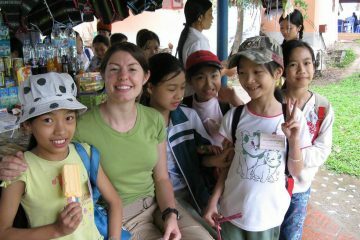 Dinner will be served by your host family at the overnight homestay – a traditional stilt house. After an early morning breakfast, you will start the new day meeting local people, farmers and students on the rural road the leads to the farming fields and school. 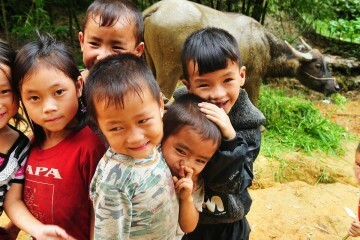 You will drive through Pu Luong and visit Hang Village. 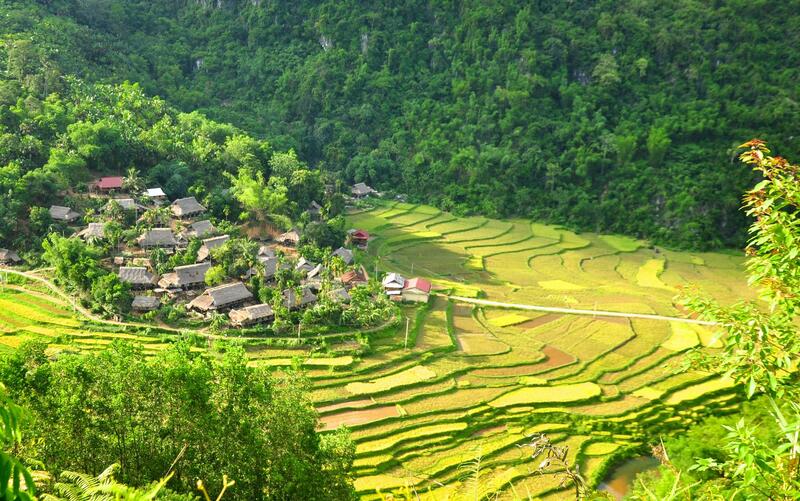 A brisk trek through villages and rice fields takes around 2 hours before arriving at Hang Village. 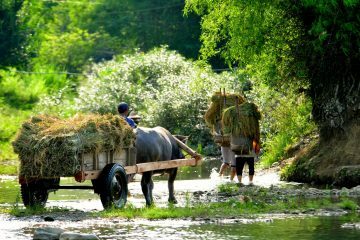 Home to the Thai ethnic minority, you can observe the daily activities of the locals in Pu Luong. Overnight is once again spent with a Thai host family in a traditional house built on stilts, and dinner will be provided. Awake to the sounds of the village roosters and early morning vendors. 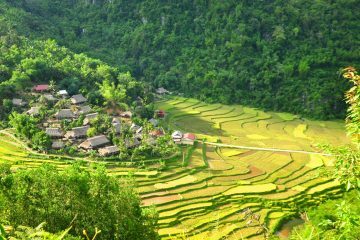 After breakfast, you have an athletic day of hiking and climbing to discover beautiful villages and tumbling rice terraces, accessible through small paths that wind along the hills, mountains and rivers. 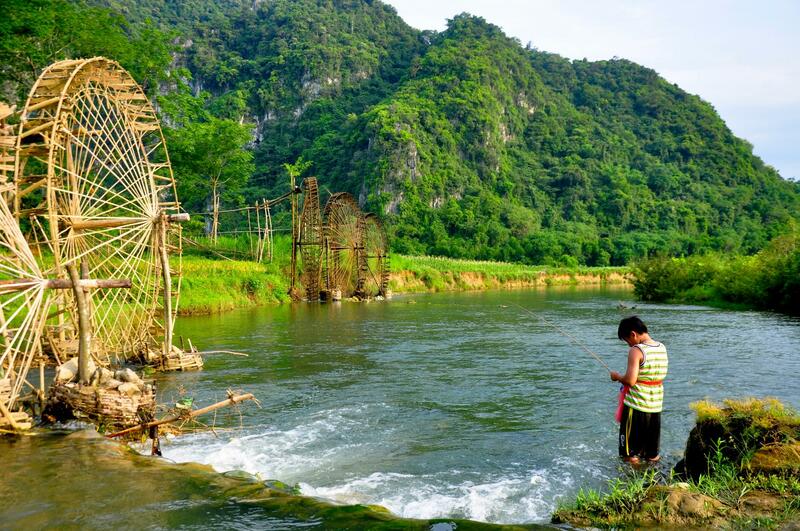 You will have chance to take the most beautiful pictures of Pu Luong’s scenery and exchange with local people. Lunch is cooked at a local homestay before continuing on to the next village. In the afternoon, you will also discover the incredible, Kho Muong Cave, before enjoying dinner with a local family at the overnight local homestay in Kho Muong Village. Wake up early to the sound of roosters and ducks, and children preparing for school. Take an early morning walk through the village to experience morning life in the local community. The trek down to The Ma River is quite gentle since we descend into an open valley. After 2 hrs trekking, we will reach Pho Doan Town. Here, you can visit the busy Pho Doan local farmers’ market (Thursdays or Sundays). When you trek through villages, rice fields, you will have a lovely view of the river and water wheels along the river. Lastly, you will be picked up and transferred back to Hanoi, arriving in late afternoon.